I’m just gonna come right out and say it…moving to a new province is much better if you fly there (especially if you start from Ontario) Driving….that’s another story. Because of how gargantuan Ontario is, driving out will take up to 3 days. 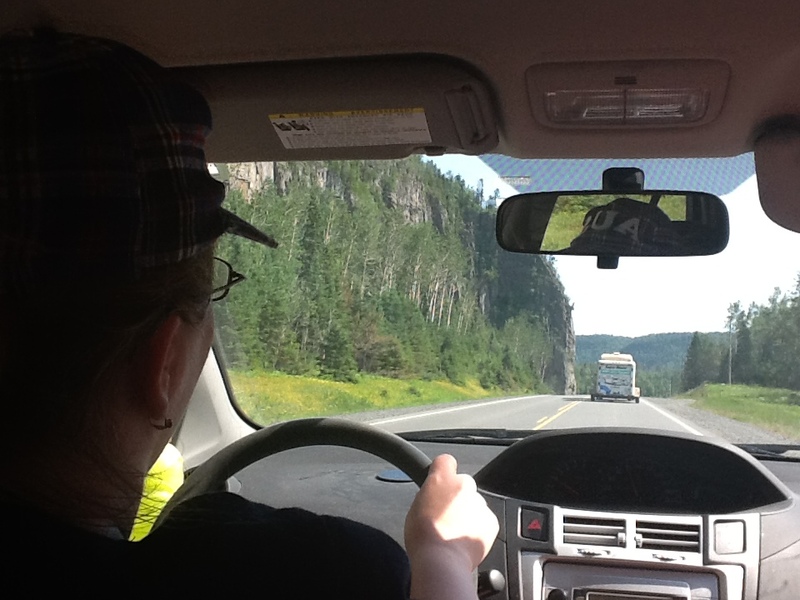 For me it felt like we were never going to leave Ontario it was so big….hmmmmm maybe God wanted us to stay in Ontario? 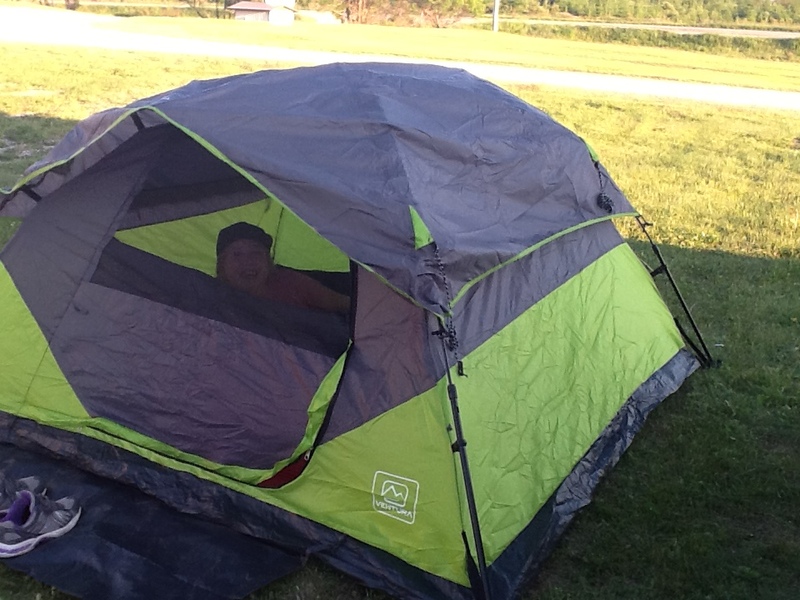 We got to camp which my mom swore we would never do. I thought it was fun. My mom on the other hand did not. 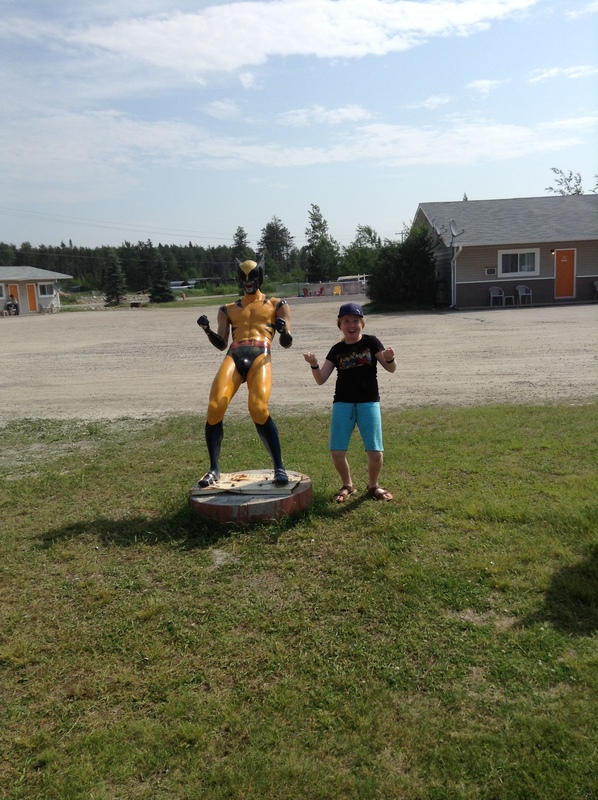 I got to meet a few characters like Wolverine. I got to see cool monuments. 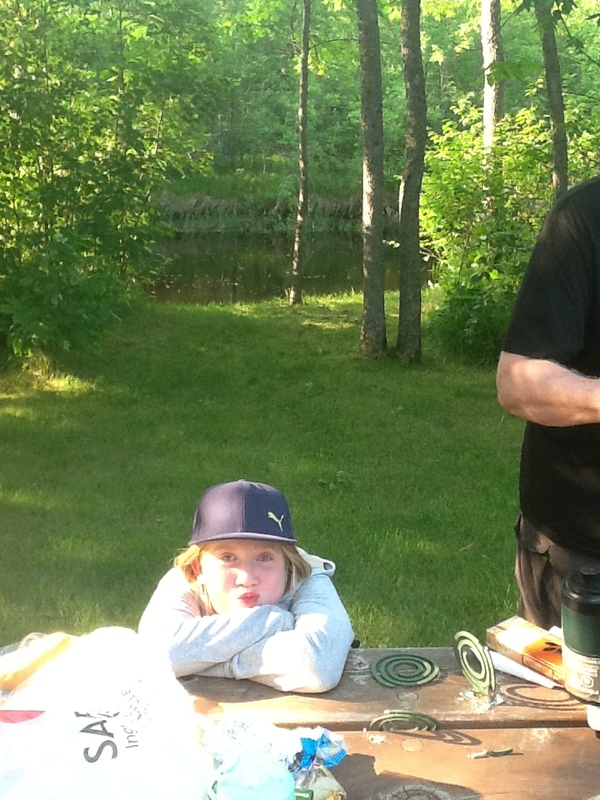 When we finally crossed over into Manitoba we had dinner at a river…while the mosquitoes had us for dinner. It was hot but I had on my sweater and a towel wrapped around my legs. The mosquitoes were horrible. Once in Manitoba I wanted to go back to Ontario. Manitoba is so FLAT like you would not believe – while home is so cool with the hills and mountains. To show how majestic Ontario is I took this picture. We didn’t see any ‘Bullwinkle’s’ (moose) which made my dad sad. We did see 3 ‘Bambi’s’. 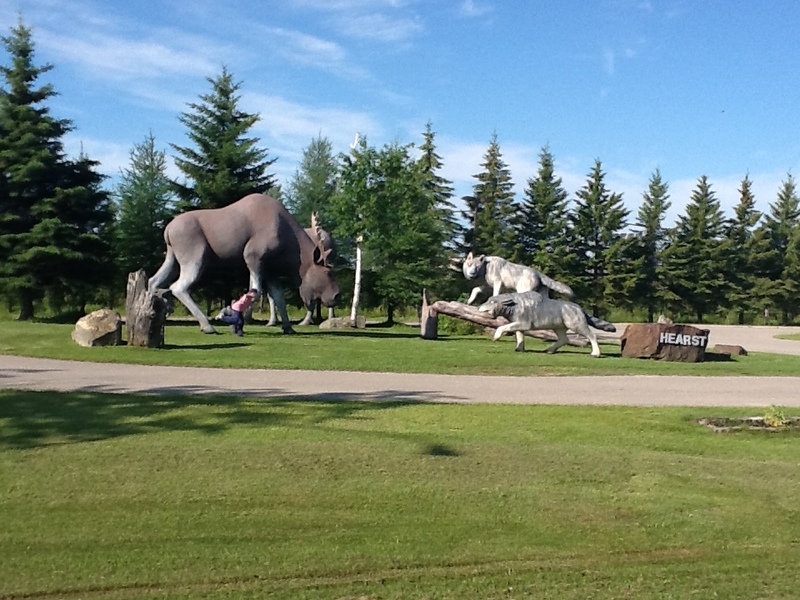 It took us about a day to pass Manitoba and then we were in Saskatchewan. Again flat like you would not believe. We did get to sit on the world’s highest swing. But it was chained down so it wasn’t fun. 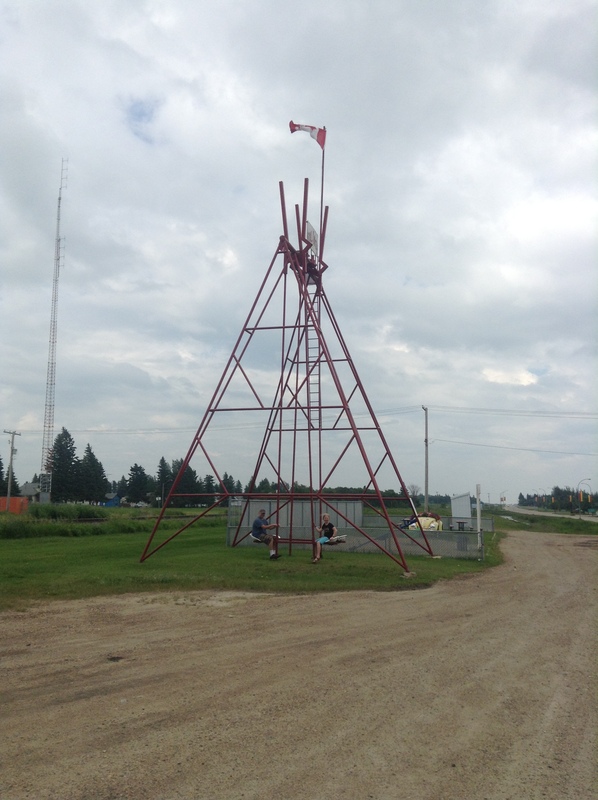 Langenburg,Sask … it was bolted down. It was not fun. We finally got to where we were going to live. I have to say now that I think about it driving to a new province sound more like a once in a lifetime experience because of all you can see and do. I miss my friends and cousins. I miss my school and Ontario and I really want to go home. But I’m going to show any kid can do it!! I hope you enjoyed the beginning of the story. I hope you stay tuned to see what happens next.